Fremantle Harbour resembled a parking lot at times with the arrivals continuing to come in thick and fast overnight. 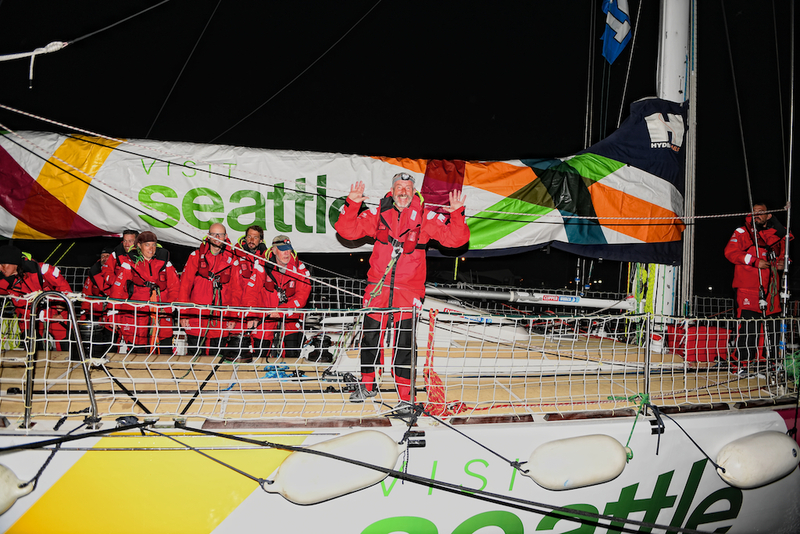 Visit Seattle just missed out on its first podium of the Clipper 2017-18 Race after finishing 7 23 seconds behind the third placed PSP Logistics. “I think the feeling is a little bit mixed,” says Visit Seattle round the worlder Simon Dubois. “We really went into the race set on securing a podium. Next into Fremantle was Qingdao. Qingdao played its Joker Card for Race 3, so will collect double points and crossed the finish line at 21:52:41 local time (13:52:41). Qingdao started the race strongly, collecting a bonus point for being third across the Scoring Gate. The team has now collected Scoring Bonus points for all three races so far. Chris and his crew frustratingly found themselves in a wind hole on Day 13, but finished strongly to ensure Qingdao will build on its fourth place in the overall standings. 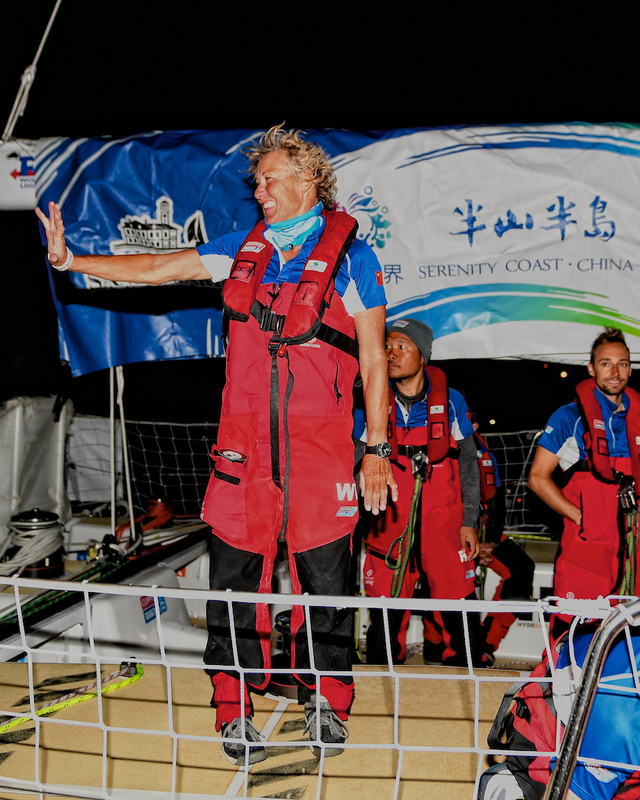 The other Chinese Clipper Race yacht, Sanya Serenity Coast, may not have achieved the podium it was after, but the team has finished Race 3 in spectacular fashion. Led by Australian Skipper Wendy Tuck, Sanya Serenity Coast took on Dare To Lead in the closing stages, and crossed the finish line just 57 seconds in front at 01:57:16 local time on Sunday 26 November (17:57:16 UTC 25/11). Wendy says: “We were racing quite close by Dare To Lead and its Skipper Dale and I had an agreement that we would raise our Yankee 3 at the same time. The win over Dare To Lead was a much needed morale booster for Sanya Serenity Coast. 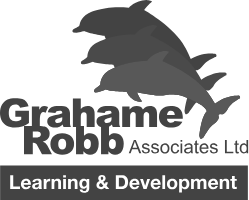 After leading for all but the final three days, the team had to watch their 100 nautical mile lead evaporate and other boats sail by after becoming stuck in a wind hole off the coast of Western Australia. “The way we recovered from that disappointment shows how resilient we are,” says Wendy. The team will also take away a handy three bonus points after crossing the Scoring Gate in first place. 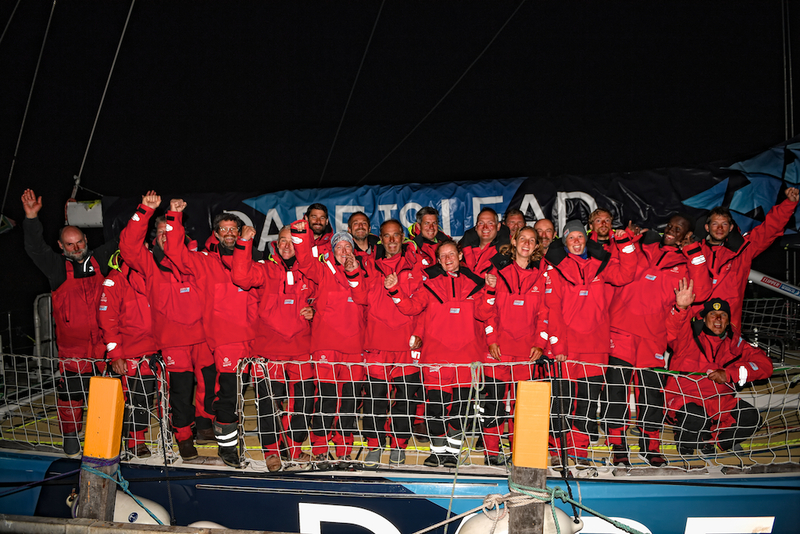 Dare To Lead officially ended its Southern Ocean race at 01:58:13 local time on Sunday 26 November (17:58:13 UTC 25/11). After being the first over the line in Cape Town, the team was one of the first to experience the true Roaring Forties, reporting wind speeds of 74 knots on Day 4 during a squall. To follow the progress of the four remaining teams in Fremantle, keep an eye on the Race Viewer. The latest ETAs will be updated regularly on the Clipper Race website.